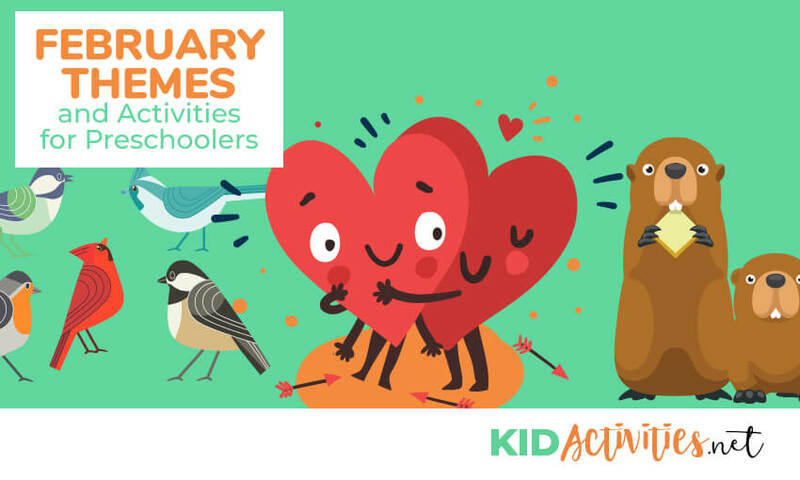 If you are looking for February activities and theme ideas, look no further. You will find plenty of inspiration in the content below. This is a great month! 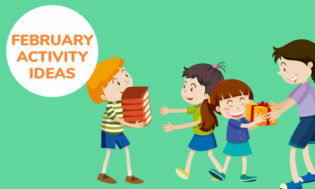 Black History Month; Mardi Gras, Random Acts of Kindness Week; Ground Hog Day; President’s Day ; Valentine’s Day ; 100th Day of School (in USA); Whew…so much going on that if you check the links, your activities are just about planned for you for the enitire month! National Cherry Month Visit KidActivities Cherry Theme! ♥ Usually 100th Day of School in USA Falls Mid-February! Have fun with the ‘100th Day’ ideas and also CELEBRATE THE 101st DAY OF SCHOOL with a Dalmatian theme and watching the movie “101 Dalmatians”! President’s Day- In the United States, Presidents Day is always celebrated on the third Monday of February. 2. Bonza Bottler Day: Just a day to celebrate when date and month are the same! 20. National Hoodie-Hoo Day –go outside and yell “Hoodie-hoo!” to scare away winter and welcome Spring! February 2 is ‘BONZA BOTTLER DAY‘—this happens each month when the month and date are the same! It’s just a reason to celebrate in any way you want…so celebrate! Celebrate BIG as it’s also Ground Hog Day!!! February 2 IS GROUND HOG DAY! For a simple and quick activity, have the children write “Punxsutawney” on a sheet of paper and see how many words they can make from the letters in it. (For example, the word “sweet” wouldn’t be valid because it has two “e”s and “Punxsutawney” only has one.) Set a time limit and then have children take turns sharing the words they found. Example: sat, at, pun, tune, neat, eat, nut, tan, yes, say, set, nun, wet, saw, was, tawny, etc. Feb. 2–Bottle Cap Patented. Collected bottle caps and challenge kids to come up with a creative bottle cap collage! With this also being Ground Hog Day-consider doing it a day or two before! On February 9, Hershey Chocolate was founded. Cover St. Valentine’s Day and this day with one project! FEBRUARY 6 (1935) is the first day MONOPOLY GAMES WERE SOLD IN STORES. Be sure to pull your Monopoly Games out–and let the kids know why! What are some other things that were going on in 1935? What did kids back then like to play??? Feb. 11– ‘DON’T CRY OVER SPILLED MILK DAY’! • To go along with the ‘milk theme’— If it’s cold where you live-make Hot Chocolate. If it’s warm–make some milkshakes!!! The day and saying means… don’t worry about something that has already happened and work on fixing the problem. Don’t Cry Over Spilled Milk Day is in recognition that everyone spills a little milk now and then. (When spilled–you can’t get it back into the glass!) It’s a day to be optimistic, think positive, look on the bright side, and to find something good in everything that happens. As the song says: Don’t Worry, be Happy! Participate in “Don’t Cry over Spilled Milk Day” with an optimistic attitude and a smile on your face! •Do the kids know why their parents chose the names they have? Do they know what their names mean? •Get a book of names/meanings and celebrate this silly day! 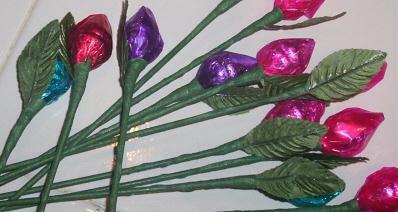 See Loads of Valentine ideas here! February 19… is NATIONAL CHOCOLATE MINT DAY. Make some chocolate mint candy! February 23rd is ‘INTERNATIONAL DOG BISCUIT DAY’... Make some Dog Biscuits! FEBRUARY 25TH IS ‘QUIET DAY‘…Celebrate it by playing some quiet/low keyed games. 3. Track Race: Each player lines up at the start line and race by placing the heel of one foot against the toe of the next. The first one to the end of the track and back wins. 4. High Jump: Each contestant takes a deep breath and whistles. The contestant who holds the note the longest wins. 5. High Dive: Each player stands on a chair (or faces the chair back-rest and then kneels chair seat) with ten clothes pins and drops them into an empty bottle. The player that gets the most wins. MAKE SOME ‘POLAR BEAR CUPS’ FOR SNACK! First put ice cream and then a layer of your choice of candy (M&M’s, Kisses, Chocolate or Peanut Butter Chips.) Cover candy layer with Cool Whip and decorate it with gummy bears or a teddy graham cookie. Serve it in small-clear plastic cups for individual serving or one big vat that everyone shares. Usually, children like to have their own. There may also be ideas in the Teddy Bear & Other Bears Theme. FEBRARY 28 IS ‘PUBLIC SLEEPING DAY’! HAVE A PAJAMA PARTY! Watch an old favorite or something just released. Make popcorn or have cookies and set up a ‘hot chocolate bar’ where everyone can add marshmallows, chocolate sprinkles, and whipped cream to cups of cocoa. FEBRUARY IS ‘FRIENDSHIP MONTH’… Check out Kid Activities FRIENDSHIP THEME DAY…Themes are listed alphabetically. Visit the Bird Theme for ideas and directions for many BIRD FEEDER ideas! This is an event that takes place over four days in February each year. It’s very easy! All you have to do is watch birds in your yard, a nearby park, or maybe at your school. Then you tell what you saw by entering your bird list online. This is ‘NATIONAL CHERRY MONTH’! Happy February! It’s a great month for planning activities!! !